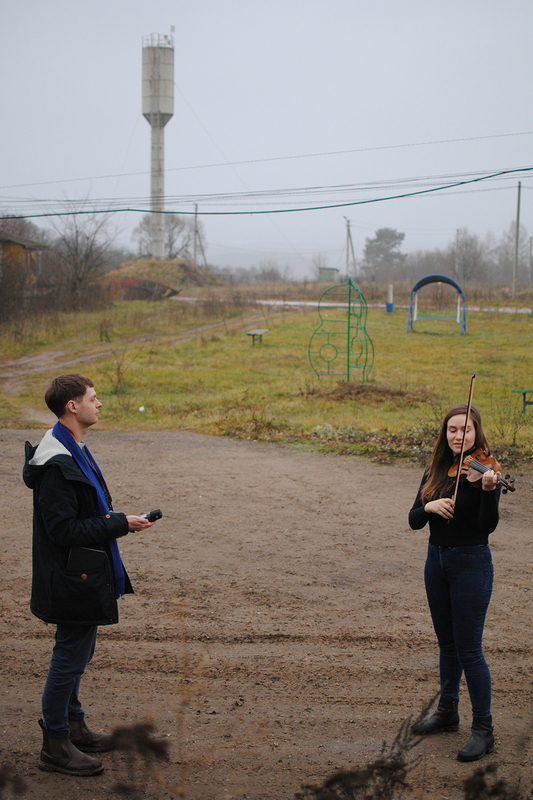 In November 2014, we spent a week in a small Russian village called Kvizzhi, part of Nikola-Lenivets art park. 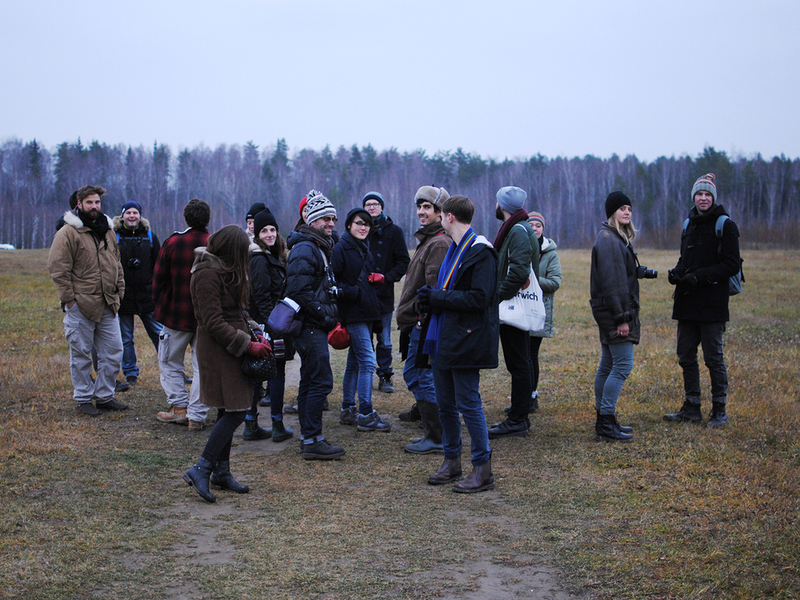 Working alongside a group of students from the Moscow School of Architecture, the Free Unit took part in a workshop focussed on the refurbishment of a former Soviet-era shop. We took this opportunity to test Freya’s initial sketches for Permutations in a range of different acoustic environments within the ruin of the shop as well as elsewhere in the art park.